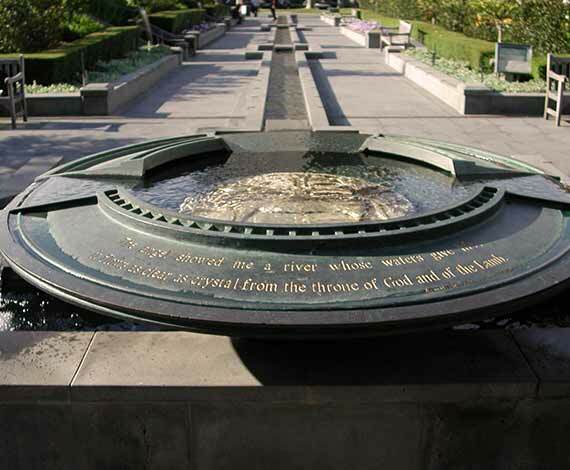 One of the key features of the design is Cathedral Walk, which introduces visitors to the Cathedral, with feature fountains, bronze vessels, a terraced water channel, gardens, sculptures, steps and seating areas. The design re-establishes a major ceremonial axis by creating an elegant, architectural ‘seam’ between the Gothic Revival Cathedral and the late 60’s Modernist Presbytery and Offices, linking different building levels in a simple solution that reconciles vastly different modes of architecture. 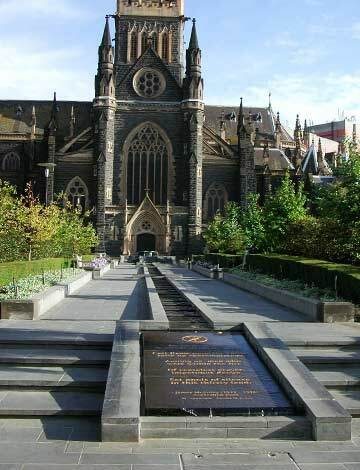 An important aspect of design is the incorporation of the William Wardell’s Gothic Revival architectural style for the Cathedral, in the order and subtle level of detail. 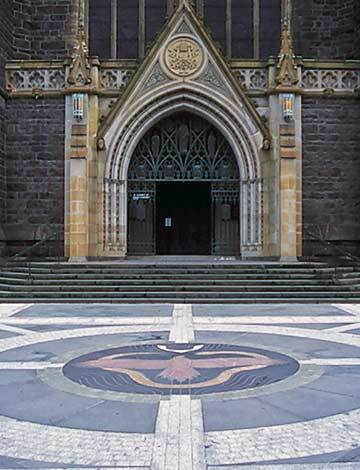 The entry forecourt accommodates a beautiful Aboriginal stone inlay depicting the Creator Spirit who is the continuing source of life in both Aboriginal and Christian spiritual traditions. 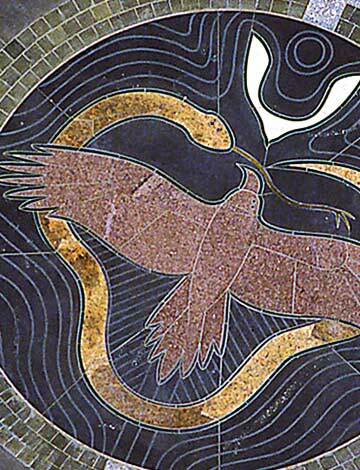 The Creator Spirit is central to the artwork, here the eagle on the ground represents the shadow of Bunjil’s presence. 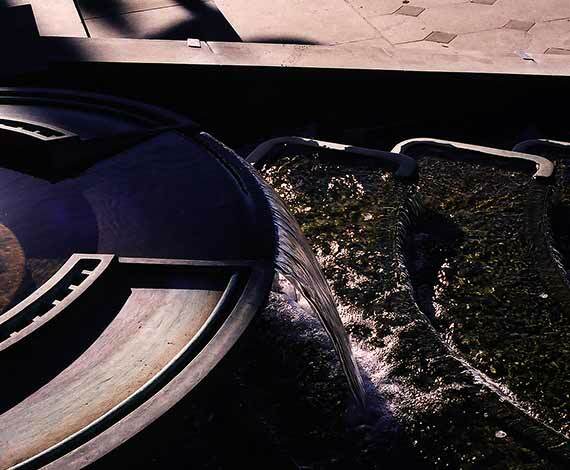 The Wurundjeri people of the Kulin Nation believe that Bunjil as their moiety is a spiritual being with a spiritual power who created man, woman, and child, and all living things from the land. Bunjil the Eagle is one of the two skin groups for the Kulin Nation. Bunjil keeps a watchful eye on all people.